It’s International Women’s Day, and what better way to celebrate than to add some of history’s feistiest queens to Total War: Rome II. Total War: Rome II is getting 14 new women who will act as faction leaders and generals as part of a free update releasing today alongside the Desert Kingdoms culture pack. Included is Teuta, the untameable queen of the Ardiaei, and Cleopatra, the notorious queen of Egypt. 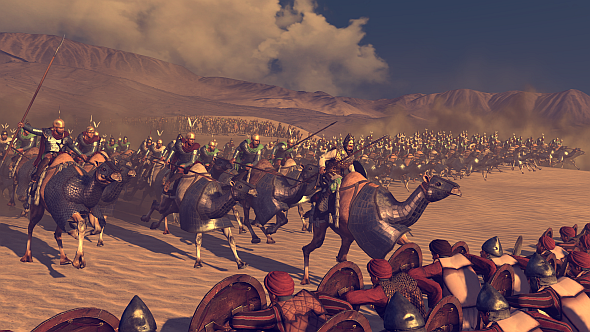 Has Total War: Rome II got a new lease on life? Here are our hands-on impressions of the Empire Divided DLC. Not all the new female characters will be generals and military enthusiasts. In certain cultures, such as Greek and Roman, the queens occupy more social and political roles, achieving greatness through more diplomatic means. Staying true to history, Total War: Rome II’s female characters will face the same trials and tribulations many women faced during their rise to power in ancient times. Special events, or dilemmas, allow you to recruit female leaders or gain bonuses from those who are against the decision. 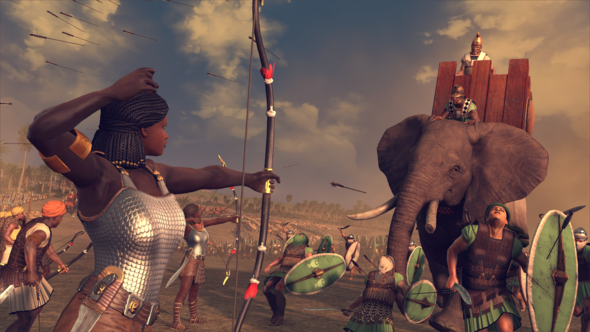 These special events will spawn important historical female leaders across a variety of Total War: Rome II campaigns. For the sake of diplomacy, leaders of the opposite gender can now marry to cement relationships with other factions. In addition to the new female characters, the free update also adds a new resource – spices. The RTS has also undergone some quality of life alterations such as the addition of a new “merge units” button which allows you to merge two units of the same type into one, and a guard mode which keeps units stationary until approached by an enemy. A mod filter tool has also been introduced to help players disable mods easily, and prevent the game from crashing when a new patch is released. Finally, three factions have been removed from the grand campaign: Meroe,Blemmys and Himyar. This is due to the addition of the Sabaean Kingdom and the Kingdom of Kush, however these factions can still spawn if you liberate their original regions. You can check out the full list of patch notes here.